UN News Service. 15 February 2011 –Secretary-General Ban Ki-moon today called for a “revolution” in how the world defines prosperity and relates to nature, based on the twin pillars of a sustainable development that breaks with the profligacy of the past and an equality that embraces empowerment for all. “We need to reinvent what we mean by progress,” he told students and faculty at the University of San Marcos in Lima, Peru, where he received an honorary doctorate. 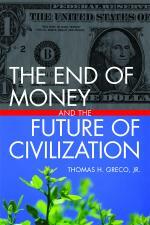 “For most of the last century, the world burned its way to prosperity. We believed in consumption without consequences. In an address that reprised some of the major themes he elaborated in a speech to the World Economic Forum in Davos, Switzerland, last month, Mr. Ban stressed the global nature of the challenges and the need for a global, multi-national response. “We are living in an era of transformation, of sweeping changes in the global landscape, with new economic powers emerging, disasters striking with greater force, the impacts of climate change growing ever clearer, drug trafficking and organized crime syndicates that at times seem capable of outgunning legitimate police forces,” he declared. He noted that Peru and Latin America as a whole can see the consequences of climate change with Andean glaciers melting and sea levels rising, potentially disrupting the ecosystem of the Galápagos and threatening the very existence of some Caribbean nations. “Climate change leads us down a path that no longer works – a path of the past. We need to build paths to the future. That means de-coupling greenhouse gas emissions from economic growth through energy efficiency,” he said. But the second pillar of the required revolution is also vital. “We cannot talk about sustainability without talking about equality,” Mr. Ban said, noting that as the fastest growing country in South America Peru has made impressive progress toward such Millennium Development Goals (MDGs) as reducing poverty, providing better access to primary education, and making advances in income distribution. That entails empowering farmers’ organizations and civil society groups, consulting indigenous people on land issues, and empowering Latin America’s women, with fighting violence against girls and women a priority, he added. This entry was posted in Geo-politics, Global Economy and tagged sustainable development. Bookmark the permalink.